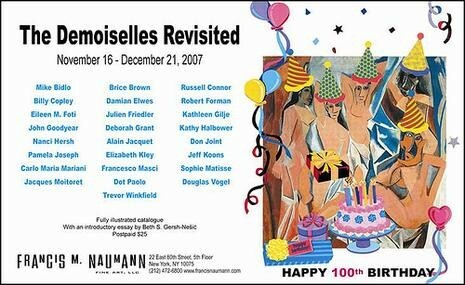 Julien Friedler has been invited to participate to the « The Demoiselles Revisited » art show, organized by Francis Naumann at his gallery in New-York. It celebrates the 100th birthday of Picasso’s famous work : Les Demoiselles d’Avignon. From November, 16th to December, 21th 2007. « Les Demoiselles » is a group of sculptures by Julien Friedler, revisiting Pablo Picasso’s world famous painting « Les Demoiselles d’Avignon ».